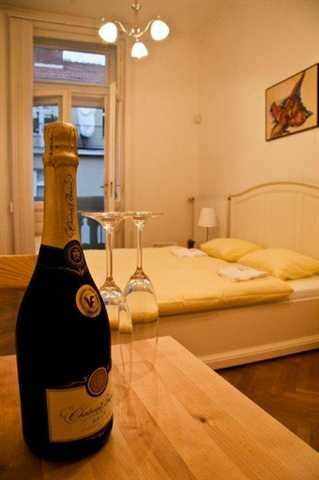 We offer accommodation in comfortable and calm environment in central Brno. The hostel total capacity is 37 beds. You can choose from six rooms, two of which are twin rooms, one double room, one four-bed room, one room with six beds and one with eleven beds. We have also two new sunny apartments with the fascinating roof terrace looking over the Brno churches and the pilberk castle. 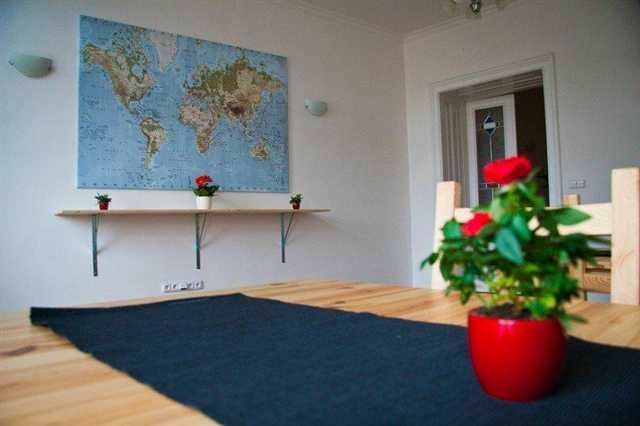 The apartment is suitable for 2-6 persons; it includes the fully equipped kitchen, bathroom with a bath, hairdryer, TV, including Smart TV, Wi-Fi (its area is about 80m2 + 25m2 terrace). You have the fully equipped kitchen with fridge, microwave, grill, electric kettle, dishwasher at your disposal as well as dining room, original bathroom, several shower cabinets, toilets. You can also borrow many board games, buy a good Moravian wine or beer. There is a wireless Internet (up to 40Mb/s) for free in the hostel and moreover it is possible to connect to the Internet also by cable in about 30 places. You can use our washing machine and dryer for charge and iron your clothes for free. The accommodation price includes also the breakfast in form of buffet. Please note: Cancellation Policy: 2 days before the arrival Check In: please notify us about your arrival time Credit Cards accepted for payment upon the arrival. Taxes are included. The hostel is about 800 meters far from the Main station, so you can go on foot to the hostel or take a tram No. 4 (Direction: Namesti Miru) from the Main station. You would get out at the station Namesti Svobody and then walk just for one minute. We recommend to check the exact position (Jakubske namesti 7, Brno) of our hostel on the map before you will visit us. Car Parking is available in the public parking places in front of the hostel or in near parking house called Rozmaryn, in the paid parking places in the street Roosveltova or paid parking lot in the street Besedni.